What If You Don’t Outsource Invoice Processing? No doubts that the old school invoicing and payment methods that your organization has been following for years, works fine and has proven its potential. But we are hopeful that your organizations; as a matter of fact every organization across the globe, is always looking for a more efficient, scalable, money saving invoice processing. More Companies Are Adopting Document Management Solutions; How About You? Last month Gartner announced that they will stop utilizing the term Enterprise Content Management – ECM, which was in existence since last more than 17 years now. Instead, they would now use Content Services – CS. As such on second thoughts, ECM is less about technology, and more of a strategy. Fortunately or unfortunately. Real estate directors have realized that they have neglected their data quality, knowingly or unknowingly. But now with perceived competitive advantage as the awakening, real estate data that is aggregated, mined and referred to is like a ticking time bomb. What is the Right Time to Outsource Data Management? What started from mere data entry and then reached to a stage of data collation and classification, has now reached a stage where expertise and experience is required in abundance to manage it – the data. Tremendous data influx is making it all the more difficult for companies to manage what they are generating daily. Three decades back, logistics was still a liability for most manufacturers, and it evolved to be recognized as a key service sector only in the 20th century. Yet, only the giants could afford having a dedicated and streamlined . Outsourced Data Processing; Accuracy or Efficiency – What is More Important? Process automation is not the only important aspect of any data processing project, if several other benefits such as improved process control and efficiency are neglected, Step further in unrealistic expectations. 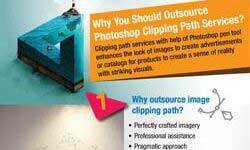 Several outsourcing service providers use. Top 5 Reasons: Why You Should Outsource Your Data Entry Services to India? Donald Trump has made outsourcing trend, and how! The US lawmakers have been debating H1B norms, arguing against the practice of hiring skilled resources at a fracti	on of the salaries that their American counterparts would get. The debate has got IT companies.